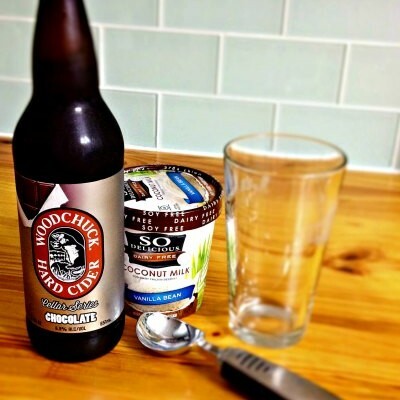 Have you tried Woodchuck Cider’s Chocolate from the Cellar Series? Oh my goodness. Chocolate-y perfection. And then I added vanilla bean ice cream to make a float with it. Soooooo good! When I first tried this cider, I had it just slightly chilled. It had a wonderful cream soda flavor to it with a bit of chocolate riding in on the end. The next time I had it, I made sure it was super chilled as I was curious to see if that made a difference. Boy, did it! When this cider is chilled properly, it has a strong chocolate flavor with caramel undertones. That makes it perfect to pair with vanilla bean ice cream. The folks at Woodchuck infuse this apple cider with crushed cacao beans. They aren’t messing around with their chocolate! While you might not have luck finding this cider where I live (I’m hoarding it, y’all, there are cupcakes to be made with this! ), there is a wonderful locator on their website to help you locate which ciders are available near you. I use it to find the list of stores nearest me and then give them a call to make sure they have it before I head out. Easy! And speaking of easy, this is so easy it’s not really a recipe. 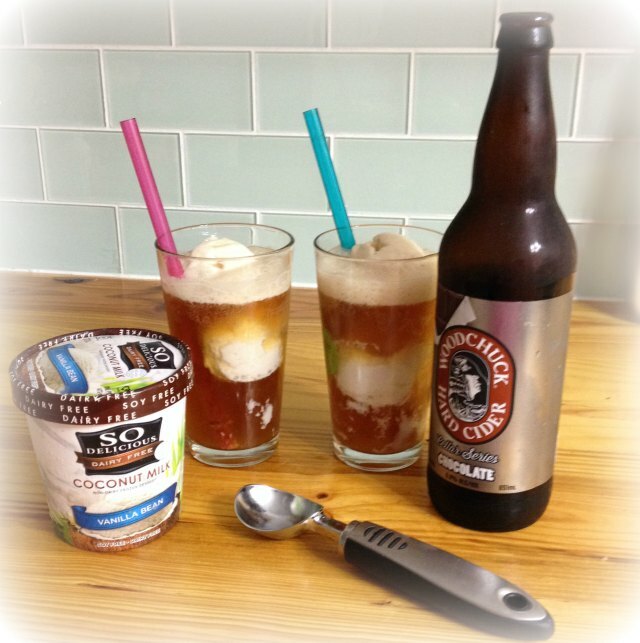 Grab a glass, add ice cream of your choice, top with chocolate cider. It’s good stuff. I can’t wait for you to try it! Set four glasses on counter. Scoop two scoops of ice cream into each glass. « Soften Saturday: Is THAT Healthy?!? Holy! I want this NOW! 🙂 I’m not kidding either. It’s so very good! I’ve got chocolate cider on my across-town-shopping list for this week. Dangerously good! Must. Text. Chaz. For. Ice. Cream. NOW.